Well, here I am again responding to Lindsey’s post! Over here in the US, Hummus is more common on the supermarket shelves in its infinite varieties, than olive oil is in the Mediterranean. However, there is a great and in my opinion, somewhat overlooked, Greek Dip that’s a little less market saturated. Tzatziki! 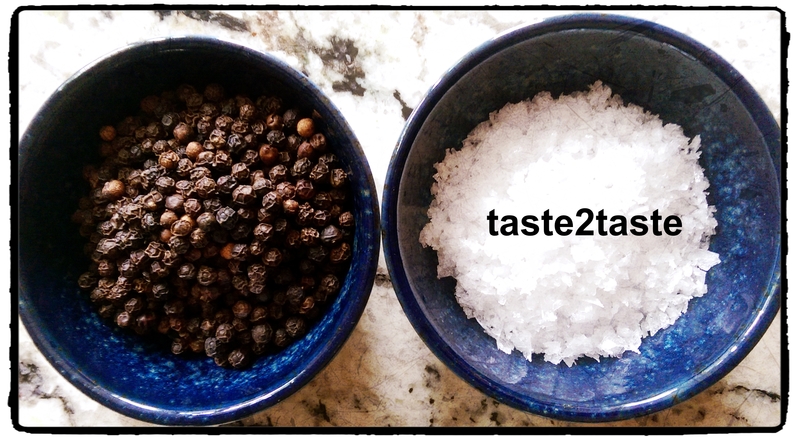 It is very simple and fast to make and uses just 1/2 dozen easy to find ingredients. In fact, my recipe took me just over 10 minutes to prepare. 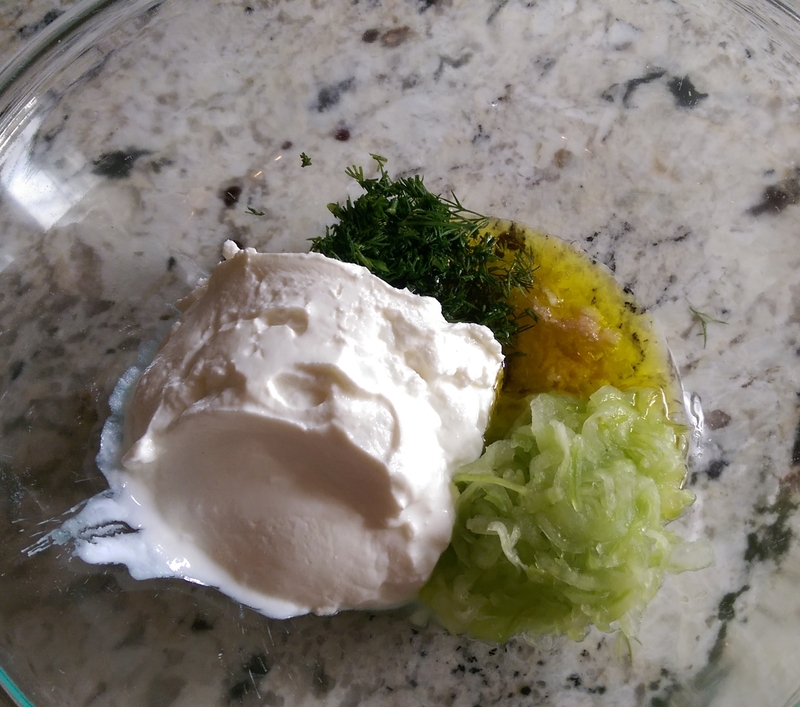 What’s more it is healthy and fresh, combining some great flavors: the tartness of thick creamy Greek Yogurt with the softness of cucumber, slightly unusual flavor of dill, pungent garlic, acidic vinegar and grassy olive oil. 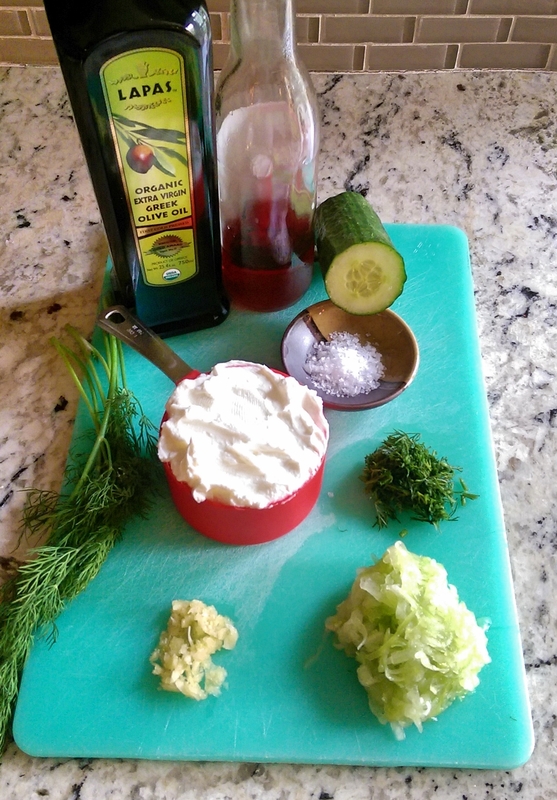 Let the Tzatziki sit in the fridge for 1/2 hour, then serve! In the bowl and ready to mix! It’s great as a starter or side and is perfect for dipping crudites or even eating with fresh toasted pita bread! Truly a unique dip that the Greek gods would be proud of!